Apple (NASDAQ:AAPL) is teaming up with investment banking giant Goldman Sachs (NYSE:GS) to develop and launch a new co-branded credit card next year, according to a report in the Wall Street Journal. This would replace the tech giant’s current partnership with Barclays (NYSE:BCS), and would be issued under the Apple Pay brand name. While this could certainly help Apple boost adoption of the Apple Pay platform, it could be a much bigger deal for Goldman Sachs. Until a couple of years ago, Goldman’s consumer banking business was virtually nonexistent. Now it could be about to jump to the next level. According to reports, Apple is planning to ditch Barclays as its credit card co-branding partner in early 2019, in favor of a new credit card issued in partnership with Goldman Sachs. 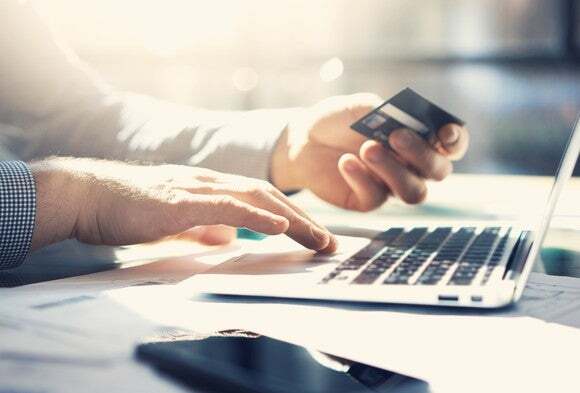 The card would be a co-branded product with a major payment processor (such as Visa or MasterCard), so it could be used for everyday purchases. A previous report indicated that Goldman could potentially also offer financing deals for consumers buying Apple products, especially the iPhone, for which financing is currently supplied by Citizens Bank. The new credit card would be issued under the tech giant’s Apple Pay brand. While we don’t yet know what kind of rewards program would be offered, it would be fair to expect one that’s at least on par with the current one offered by the Barclays product. That card offers three points per dollar on Apple purchases, two points at restaurants, and one point everywhere else; 2,500 points will get you $25 at an Apple Store or the App Store, or a $25 iTunes gift card. Considering how aggressively and effectively Goldman has been making its push into consumer banking so far — more on that in a bit — I wouldn’t be surprised if it offers a rewards program or sign-on bonus that’s significantly more competitive with other credit card products. Goldman offers its clients a version of the Platinum Card from American Express, but this will be the bank’s first venture into the credit card space beyond its existing clientele. Last year, Goldman Sachs’ management stated a goal of generating $5 billion in revenue from new sources. And it looks like its consumer banking division could be a big part of that. Thus far, Goldman’s consumer banking efforts have been concentrated on its Marcus platform, which offers personal loans as well as online savings accounts and CDs that pay very competitive interest rates. The progress Goldman has made so far on the consumer banking front is remarkable. The Marcus lending platform launched in late 2016, and by the time I interviewed the head of Marcus, Harit Talwar, in July 2017, it had already surpassed $1 billion in loans. Less than a year later, the bank has made $3 billion in loans and counting. Unsecured debt is a $1 trillion industry in the U.S., so there’s lots of room for growth here. And between the thriving Marcus platform and Goldman’s new partnership with Apple, there’s a clear path to capture serious market share and drive revenue. Clearly, this is bigger news for Goldman Sachs than it is for Apple. To be sure, Apple stands to benefit from the new card as well, if it becomes significantly more popular than the current co-branded product — the Barclaycard Visa with Apple Rewards. But keep in mind that details are limited, and it’s unclear how the card will work with the existing Apple Pay platform, since the current co-branded Apple credit card is not an “Apple Pay” product. Having said that, this could really kick-start Goldman’s credit card business. After all, it would be difficult, if not impossible, to find a co-branding partner with higher sales or a more recognizable brand name. During the most recent quarter alone, Apple’s services business (which includes the App Store, mobile payments, and music streaming) grew 31% from last year to generate $9 billion in revenue. Conceivably, customers could set a good portion of this to autopay with the new Apple Pay credit card. Now, I’m not saying that all of this would be charged to the new Apple Pay credit card, but even if Goldman Sachs can get a small fraction, it would be a big win. Consider that the Marcus lending platform recently reached $3 billion in total loans: Based on Apple’s past four quarters, Goldman could see this much volume on its Apple Pay credit cards with just 1.2% of the tech giant’s annual sales. And keep in mind that credit cards often have much higher interest margins than personal loans. In a nutshell, this could be a big revenue driver for Goldman Sachs, and could be just what the investment bank needs to take its consumer banking business to the next level. Investing geniuses David and Tom Gardner just released their best stocks to buy now — and it could pay to listen. Especially when you consider their average stock pick is up 350% vs. a mere 79% for the S&P 500. They just shared what they think are the ten best stocks for investors to buy right now to members inside their service Motley Fool Stock Advisor… and Goldman Sachs wasn’t one of them! That’s right — they think these 10 stocks are even better buys. When Should You List Your Home?